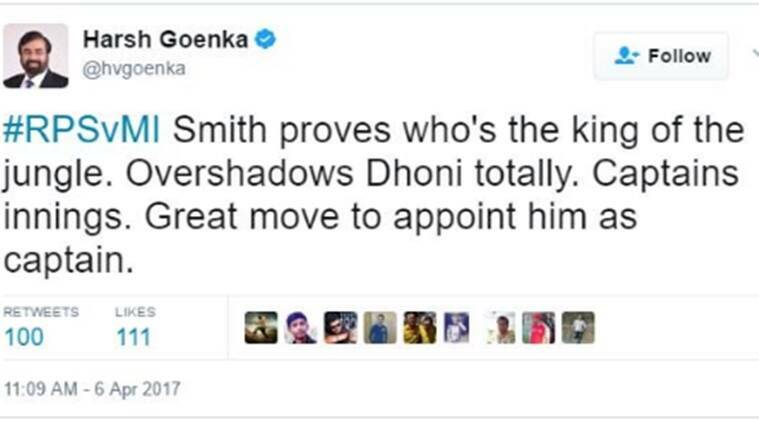 The chairman of the RPG enterprises, Harsh Goenka made a controversial tweet after Rising Pune Supergiant's win over Mumbai Indians. We are just in the third day of the tenth edition of the Indian Premier League and the cash-rich tournament is providing us with every possible reason to remember it for a long time. An aggressive and entertaining knock from Yuvraj Singh aand Hardik Pandya for their respective franchises, a hilarious session between MS Dhoni and Kevin Pietersen and now a controversy. 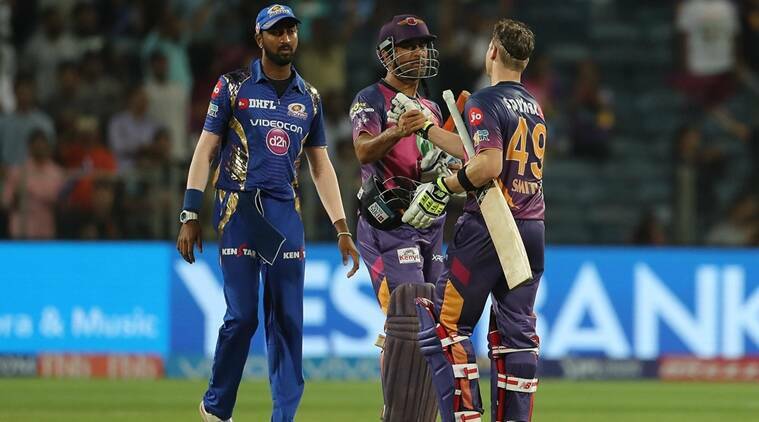 The chairman of the RPG enterprises, Harsh Goenka on Thursday made a tweet after Rising Pune Supergiant chased down a target of 185 runs by 7 wickets against Mumbai Indians after skipper Steve Smith concluded the match with a six with MS Dhoni at the other end. The post was later removed from his official Twitter handle. Ha, good. @hvgoenka has deleted the tweet about Dhoni-Smith after the inevitable backlash. removed as Rising Pune Supergiant’s skipper and the reigns were handed over to Australian captain Steve Smith. “Dhoni has not stepped down. We have appointed Steve Smith as the skipper for the upcoming season. Frankly speaking, we did not have a good last season and we wanted someone young to lead the side and revamp it ahead of the upcoming season 10,” Rising Pune Supergiants owner Sanjiv Goenka told PTI..
“I have the highest regard for MS Dhoni as a leader and a person. Dhoni continues to be an integral member of our team. He is supportive of the decision keeping the franchise’s best interests in mind,” Goenka added. The Pune franchise began their IPL 2017 campaign with a win under their belt after defeated Rohit Sharma-led Mumbai Indians in their own backyard.